There have been NEWLANDs in Trunch since the 16th. 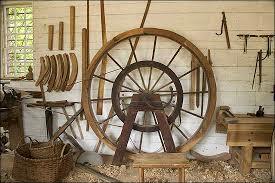 Century and many of them have been carpenters, wheelwrights or publicans. 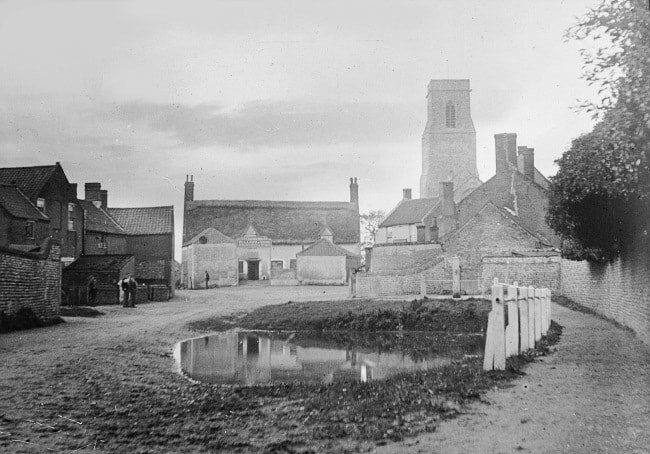 The family line can be followed from John (1) who was born in Mundesley in 1726 to Joseph and Mary nee Kibbet. In 1741 John is listed as a master wheelwright in Trunch with an apprentice. He went on to marry Elizabeth Pegg in 1748 and they had at least 3 daughters and 3 sons (one of whom died in infancy). When John died in 1807 his will was unusual in that he left everything to his younger son Joseph, including the house in Trunch where his eldest son John was living. This John (2) was left just £10, while his daughter Mary was left £20. One can only assume that there must have been a falling out. It is through his sons John and Joseph, that the line can be followed. Joseph (1757-1828) was a carpenter and wheelwright and he married Susannah Postle in 1785. They had a daughter and at least 3 sons, 2 of whom were soldiers. In his will he left his shop and all of his properties (including the house where his brother, John 2, lived), to his wife Susanna and thence to be shared equally between his son Joseph and daughter Mary. John (2) was born in 1754 and married Priscilla Baxter in Bacton in 1785 after she had given birth to their illegitimate son John (3). They continued to live in Bacton and had at least 3 more sons and 2 daughters. By 1798 they were in Trunch. Their sons - John (3), Joseph and possibly Thomas carried on the line in Trunch. John (3) lived from 1784 -1865, married Mary Reynolds, worked as a carpenter and as publican of the New Inn. He had 4 sons, Joseph, George, a soldier and Ezrah and Elias who are mentioned below. Joseph (1786 -1836) married Susannah from Cromer and was the publican of the Crown Inn, which Susannah took over after he died in 1836. They had one son Henry who was a shoemaker and publican but does not seem to have married or had children. Thomas (1791 or 1793 - 1831) was in Trunch in the early 1800s and was probably another son of Joseph and Susannah although his birth and death dates do not quite add up. He was married to Mary and they had at least 7 children including John 4. Ezrah (1820-1899) son of John 3 was also a carpenter and a policeman, married Hannah Lown from Blickling, had 4 children and died in Aylsham. Elias (1823 -1854) his brother was also a carpenter, married Mary Ann and had a son John who went on to be a cabinet maker in London. John 4 (1826-1881) was a pork butcher and keeper of the New Inn who married Mary Ann Cole and had at least 2 children. Their son John Henry (John 5), born in 1864, became a railway clerk and lived in Yorkshire and Hampshire. There were no Newlands in the Trunch census after 1881 but a John Newland from Romsey in Hampshire had freehold land in Brewery Road in 1909 and he was probably John 5. Click here for more details about the Trunch Newlands. And here for a family tree. If you have any more information about the Newlands please contact me.